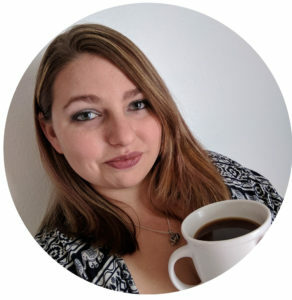 Today I wanted to talk about the main ways I was able to teach my children. 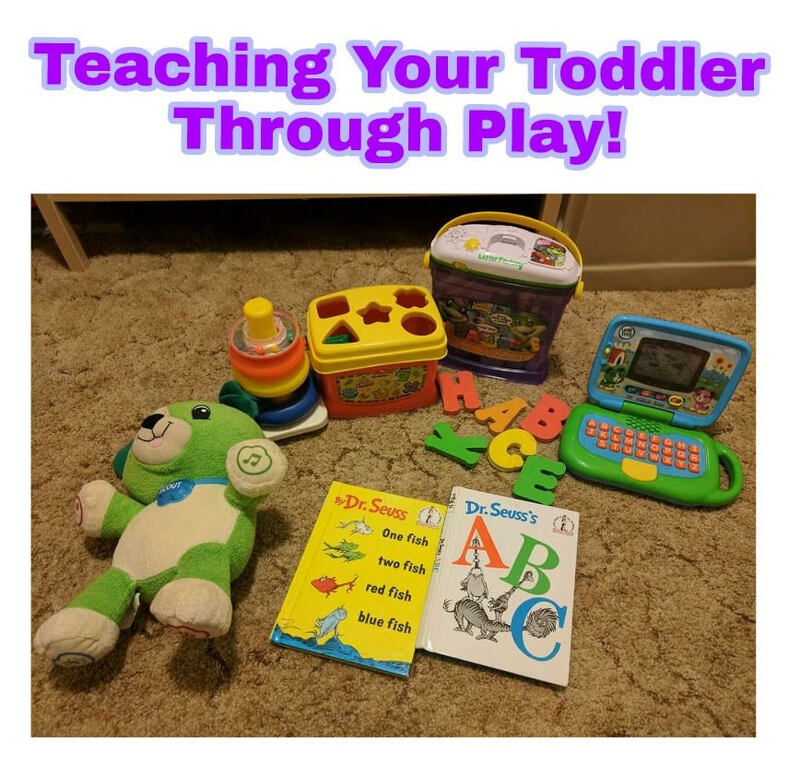 The best way kids learn is through play, so I did it all with toys and tv honestly. I’m going to try and break this down by learning category. 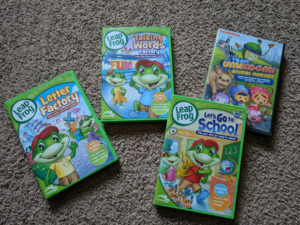 I started with the movie and flash cards from “The Letter Factory” by Leapfrog. I bought a set that included 3 movies (The Letter Factory, The Talking Words Factory, and Let’s Go to School) and matching letter factory flash cards. We have some tv time in the morning when the kids play while I clean up from breakfast. I usually have on “The Letter Factory” as background noise. My youngest was able to pick up the letters and point them out at the store within 2 months. 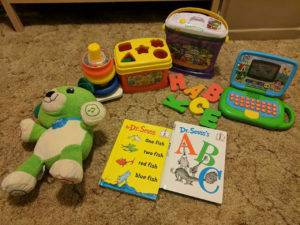 Later on in the day during Free Play, I bring out educational toys depending on what we are focusing on. For letters I have a letter puzzle, foam letters, and the LeapFrog laptop. They will say the letter name while putting the pieces in alphabetical order or try to make words, sometimes they make alphabet soup and other games they imagine. I will also use that time to show them the letters in their name. We have a short 15 minute circle time where we sing the ABC song daily. Umizoomi helps reinforce numbers, shapes, and patterns. We watch it right before lunch as a way to calm down from playing outside and dancing at music time. I use a lot of toys and games for helping teach this area! It’s mostly in the kitchen area of the playroom. 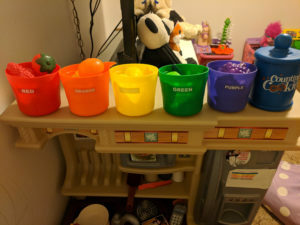 I have a cookie counting jar where every cookie has a different number of chocolate chips on it, shape sorting bucket, color sorting food buckets, colorful condiment bottles, number counting toy, and a donut ring stacker. We count to 3, 5, or 10 before we go wash our hands to eat, depending on the age and counting level they are at. During circle time we count our days and look for the pattern on the calendar pieces. I’ve made up my own color song that we sing together after the ABC song too. Craft activities really help with recognizing colors. I try to point out different colors and shapes of things as we explore our world. Outside, the kids are a huge fan of hopscotch and counting their steps! I’ll draw shapes, letters, and their names on the ground with the chalk too. They love trying to find their name and it helps with name recognition, which is very important for school. Reading is so important! It doesn’t even matter what you read, as long as you do it. I do a general theme every two weeks and I’ll use the books to go along with it. At the beginning of the year I start with “Chicka Chicka Boom Boom” and Dr Seuss’s “ABC book”. This last week we were on plants and flowers. I read a book called “Witzy’s Colorful Garden” and a rainforest color book I can’t remember the name of because a special little girl of mine ripped off the front page into a bunch of little pieces shortly after we got it… but still, it’s all very casual play and fun for me and the kids. I hope that this gave you a little bit of help. I will say that Pinterest is like my best friend in these early years. There are so make ideas to try! I’ll try to put out more of our activities too, so maybe you can do some of them with us! Just remember not to stress and it doesn’t need to be structured or perfect. Kids will learn at their own pace. Have fun with it!